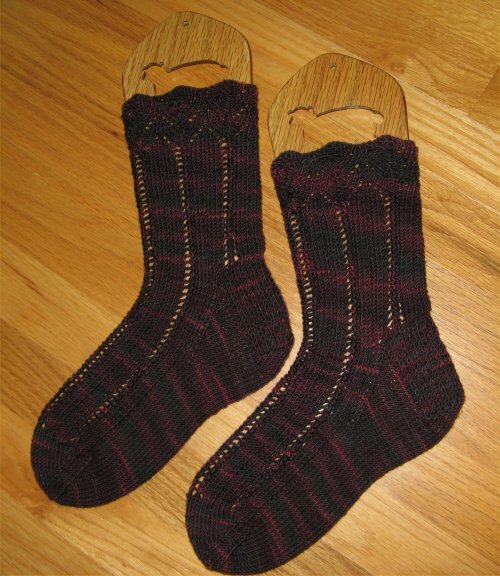 These were knit during the Springtime for a friend - the second time I have used knitpicks Moc Croc pattern - complementary to variegated yarn I think. Presented here in Schaeffer's "Anne". These are STR "Lenore" socks leftover from the '07 membership I believe. Functional, dark, and wintery!